The Fourteenth century saw the development of precision springs which were used during the Resistance in timepieces and precise clocks which revolutionized the century and brought along the celestial navigation. Not only clocks but springs had also brought along the development of firearms/guns which had pushed the spring development massively. In the Eighteenth century this was when the industrial revolution took to light meaning larger, more accurate and inexpensive/replaceable springs were developed, this is how metal springs started to be mass produced unlike clockmarker springs which were hand-made. 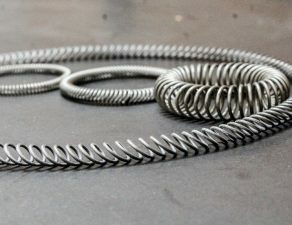 When manufacturing metal springs in today’s modern age they’re now developed and made by a computer controlled machine which will bend the wiring to an exact measure, because of this new technology springs can now be custom made to what weight they need to take, pressure, dimensions and material. 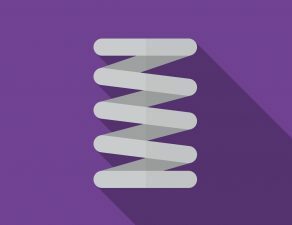 What is a garter spring?